Help me, don't send ETH??? 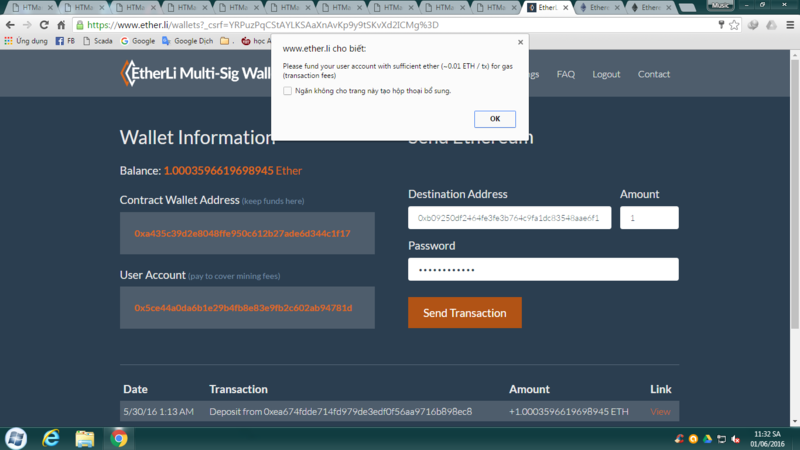 But I don't send ETH to wallet other. see picture: Please help me! @HoangCruze You will have to contact the website. I've never heard of them on this forum before. But their website states it is 'proof of concept' only and should you should expect bugs. A quick read of their FAQ says it implements multisig wallet contracts and that mining fees are taken form the contract. I'm not sure how they're doing that because I've only ever been able to run code using a standard account. So my guess it's something to do with that aspect of their contracts... Again you'll just have to contact them.